Rocket Lab has confirmed the company will build their first U.S. launch pad for the Electron rocket at NASA’s Wallops Flight Facility in Virginia, USA. 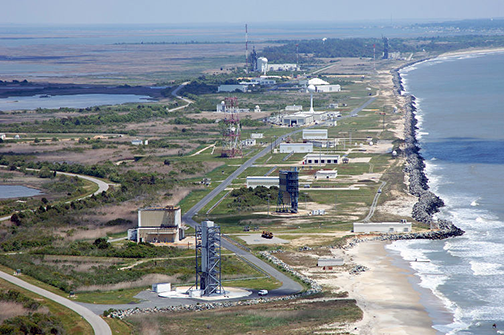 Aerial view of NASA's Wallops launch facility in Virginia, USA. Launch Complex 2 will be capable of supporting monthly orbital launches and is designed to serve U.S. government and commercial missions. The site brings Rocket Lab’s global launch availability across two launch complexes to more than 130 missions per year. The option to select from two launch sites adds an extra layer of flexibility for small satellite customers, offering an unmatched ability to rapidly deploy space-based assets with confidence and precision from a preferred location. Four spaceports were shortlisted to become Rocket Lab Launch Complex 2, including Cape Canaveral, Wallops Flight Facility, Pacific Spaceport Complex – Alaska and Vandenberg Air Force Base. Wallops Flight Facility made the final cut, thanks to high flight frequency available from the site as well as rapid construction timelines that will see Rocket Lab target the first Electron launch from U.S. soil Q3 2019. Rocket Lab continues to assess additional launch sites in the U.S. and internationally to provide additional launch flexibility for smallsat customers. The company also maintains agreements with Cape Canaveral in Florida and Pacific Spaceport Complex Alaska to conduct launches from existing pads as required. Rocket Lab Founder and CEO, Peter Beck, said that accessing space should be simple, seamless and tailored to the firm's customers’ missions — from idea to orbit. Launching from a second pad builds on Rocket Lab’s ability to offer the small satellite industry unmatched schedule and launch location flexibility. 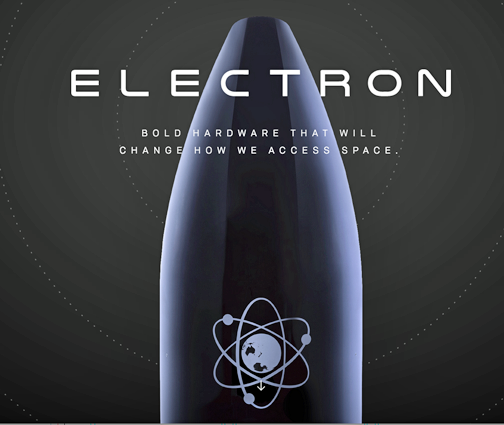 Having proven the Electron vehicle with a successful orbital launch this year, we’re thrilled to expand on our ability to provide rapid, reliable and affordable access to orbit for small satellites. The company has worked closely with the experienced and welcoming teams from Virginia Space and the Mid-Atlantic Regional Spaceport at Wallops to design a pad and processes that will enable an agile and streamlined approach to small satellite launch on U.S. soil. Bill Wrobel, director of NASA Wallops, noted that Wallops has more than 70 years of experience successfully supporting missions using suborbital as well as small and medium-class orbital launch vehicles. The agency looks forward, along with our partner Virginia Space and its Mid-Atlantic Regional Spaceport (MARS), to support Rocket Lab’s Electron missions and expanding commercial launch operations from Wallops. Dale Nash, CEO and Executive Director of Virginia Space, added that there is an incredible synergy between Virginia Space and Rocket Lab and the company is proud to support their missions launching from U.S. soil. Virginia Space and MARS employees are standing ready to do everything that can be done to ensure successful, safe and timely launch missions for Rocket Lab just as is done for every customer of the Spaceport.